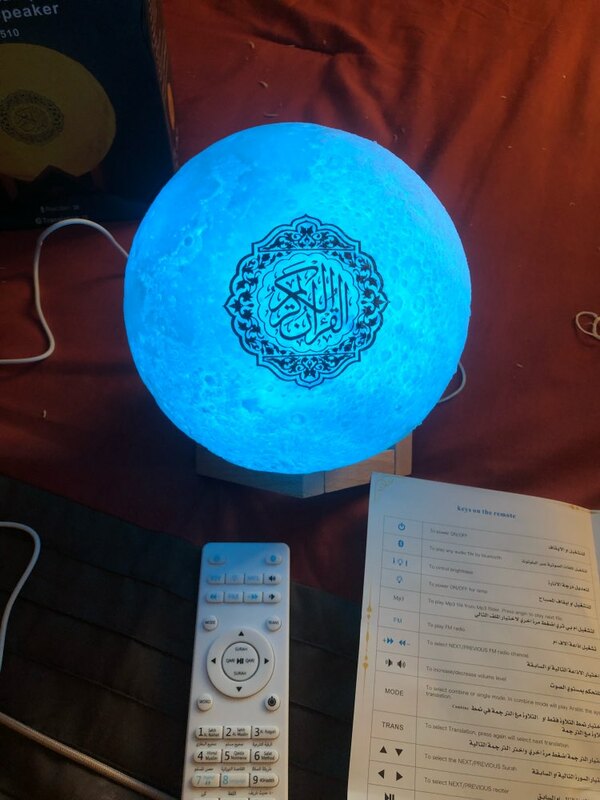 Listen to Quran, Hadeeth and Doaa with this beautiful speaker, give your children the chance to memorize Quran while they are listing, reading Quran at home make it quiet and peaceful environment, with this lovely light which is designed Seamless simulation of lunar led lights designed with high quality 3D printing technology. 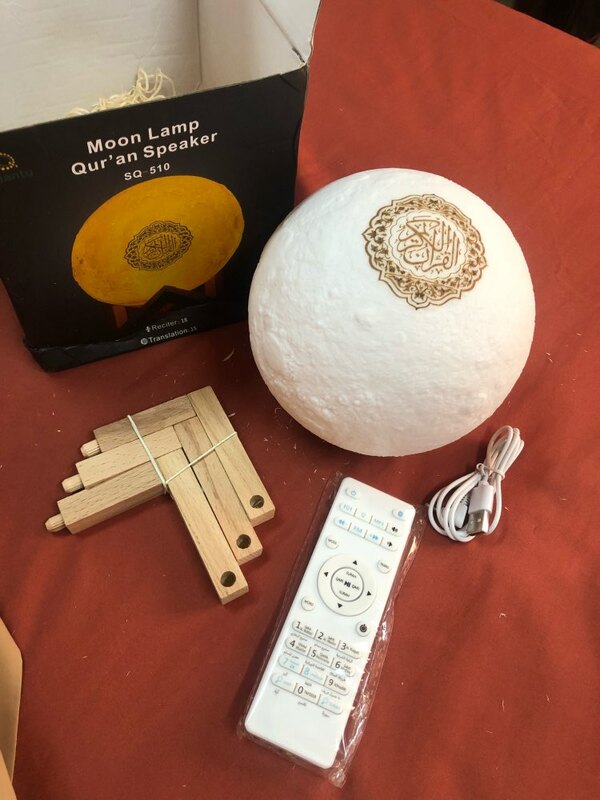 The surface is the detailed data of the lunar surface collected by NASA, and strives for the maximum authenticity, allowing you to meditate on one of the great signs of God. A precious gift to the people who newly attend Islam, or to the people who don’t speak Arabic as it contain Full Translation of Quran. 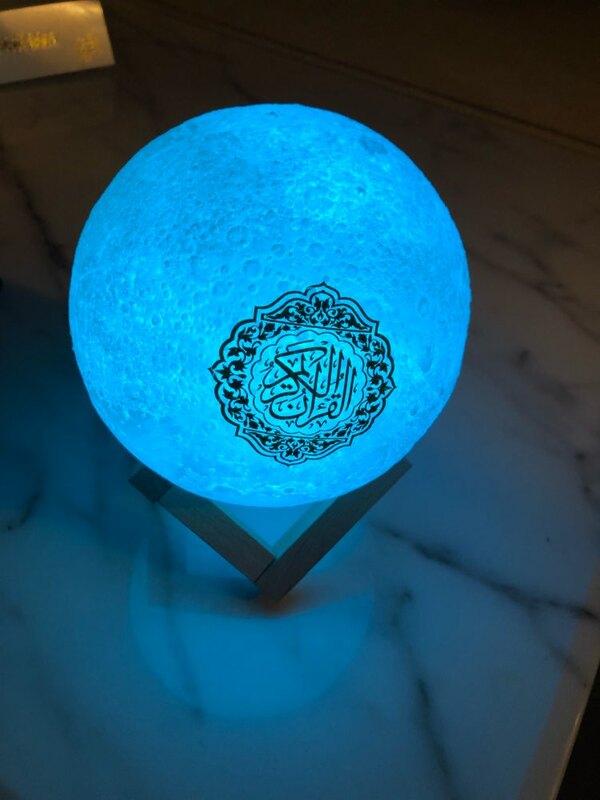 Including a records of complete Quran with the great reciters’ voices: Mashary Al Al Afasy – Abdul Rahman Al Sudais – Saad Al Ghamdi – Ahmed Bin Ali Al Ajmi – Mohammed AlTablawi – Alhuzaifi – Abdul Basset AbdulSamad – AlMinshawi – Hani Rifa’i – Maher – Al-Muieqli – and others. Full Translation of the Holy Quran for non- Arabic speakers. Interpretation of the Full Holy Quran. The Holy Quran (reciting verses of the Quran to memorize Qur’an for young people). Remote control and the possibility of choosing the Sura quickly and smoothly. A selection of Islamic collections such as Al-Ruqiya Shariah. Led lamp material is made of ABS+PAC certified PLA material, completely environmentally friendly, non-toxic, degradable, Ecological, pollution-free guarantee. The wooden material’s scaffold on the earth brings you closer to the distance between the moon and humans. Cleverly hidden design, Put the charging port and touch switch in the same position. Touch the top to change the color of the warm & cool white lights, Energy-saving, high-efficiency, holding LED chips. 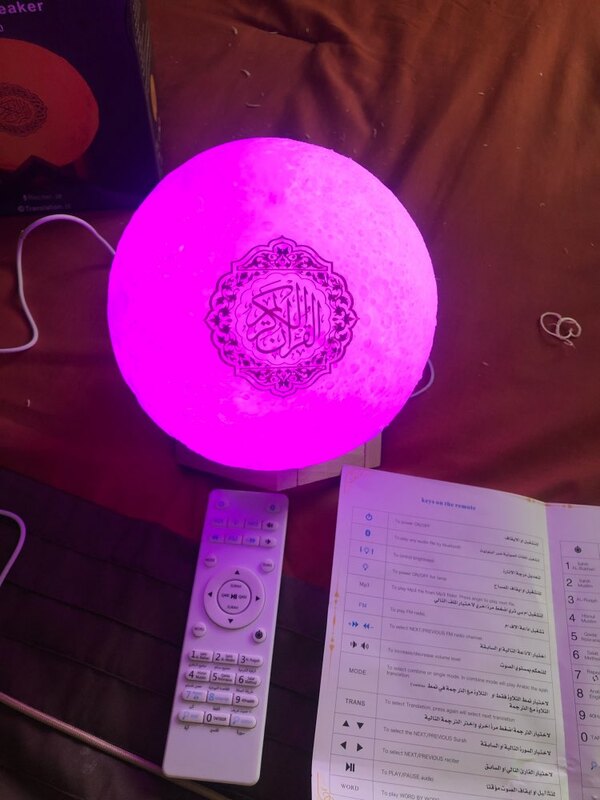 Your order did not arrive due to exceptional circumstances outside the control of Quran Light (i.e. not cleared by customs, delayed by a natural disaster).